I was having a conversation recently with a coworker who is relatively new to the Oshawa area. Having lived in Toronto in the past, she'd become spoiled with the selection of delicious and multicultural take-out foods. I could relate. After moving back to Oshawa from Toronto I really missed my local haunts like Gazale's on Bloor Street near the cinema and the Salad King on Yonge. I could relate to her feeling that she was in a cultural wasteland in Oshawa, but in the past couple of years, I've made an effort to seek out some ethnic restaurants and they do exist here. Selection is not nearly as limited as you might assume, and it seems to be becoming more varied all the time. So, I shared my tips for Oshawa, and she was amazed at number of places I had suggested that were of the non-fast-food-slash-chain-restaurant variety. As a result I've been inspired to write this post. Firstly let me say there are a lot of places I didn't include - there are three thai restaurants downtown and I'm only covering one. I'm just listing places I know and like and will eat in again. Also, I'm not including non-ethnic foods. It's not that Teddy's isn't an Oshawa institution, or that Fazio's doesn't make the great fresh pasta, or that Avanti's doesn't offer yummy stone hearth pizza, because those restaurants are good at what they do and I've never had bad service or quality there. They are just pretty 'normal' for what you'd expect in this town, and I'm looking for things a bit more unusual. Perhaps Indian food doesn't seem overly adventurous to you, but my sister-in-law recently confessed to me she's never tried it, so I have been inspired to forge ahead with this list. Finally, I am not a restaurant critic. 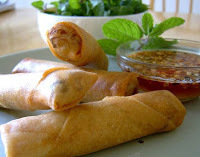 What you can figure out though, from reading this blog, is that I love to try new things and eat food, in general. I make it a goal to try something new often so I think at the very least you could say this is coming from a non-professional, highly experimental enthusiastic eater. So take that as you will. First up, Sushi. Osaka Sushi is in the heart of downtown, just north of King Street on Simcoe Street. 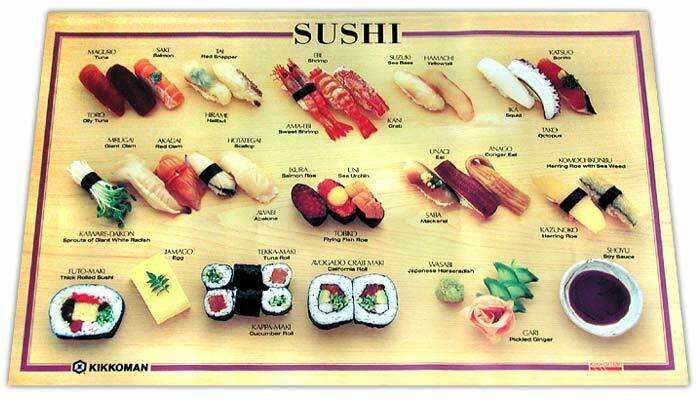 I'm a big fan of sushi in general and feel as though I'm some sort of expert in this area, since I worked in Markham for 6 years and ate sushi enough that I actually decided to cut back after that whole Jeremy Piven "I've got mercury poisoning" scandal. I mean, really, eating raw fish in copious amounts twice weekly probably isn't wise, even if it is delicious. As I mentioned in an earlier post, I'm a fan of the Chirashi Don and generally eat that when out for Sushi. This is a test of any sushi shack's quality, and Osaka Sushi delivers. For around $11 including tax I get the Chirashi Don which includes soup and salad. I've never been disappointed. It is a large amount of rice, veggies and fish. My friend usually gets less-fish oriented food like tempura or teriyaki and is also always pleased. I've never done their All-You-Can-Eat or happy hour menus, but if that's your thing I think this place is a good bet for quality, and a good bet for service. This is a better-than-many sushi joint with reliable quality and flair. Next up, Indian Food. After many years of driving to Whitby I finally tried the Curry Club on Simcoe Street. I think this restaurant has survived years of a city less interested in multicultural foods by advertising "Canadian" foods on the sign. I've tried the Dinner for Two, which gets you a huge amount of food for $25. For two people, who are both more than healthy eaters, this meal is really 4 - two dinners and two boxes of leftovers for lunch the next day. 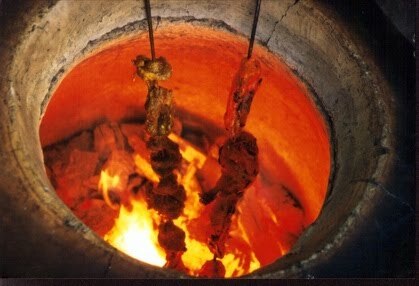 It includes Vegetable Pakora, Meat Samosa, Butter Chicken, Lamb or Beef Curry, Mixed Vegetables, Peas Pilau and Naan. They make their Butter Chicken with Tandoori, which, I'm not even sure is the normal way but ads a nice spice to the Butter Chicken standard. It seems different to me anyhow. Their Samosa, though greasy, are super delicious, perhaps the best I've ever had.The service here is friendly as well. 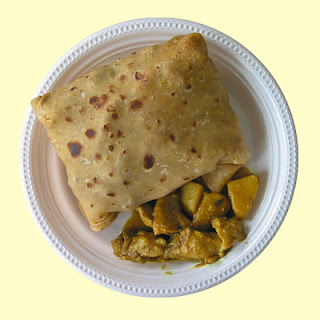 If you're a curry fan but are looking for something different, try the West Indian food at Miranda's Roti on Simcoe Street, just south of John. My aunt is Guyanese, as are the owners, so this food tastes like her home cooking to me (which is a good thing!). Fresh roti bread, delicious curry, and when you order 'spicy' it is still edible. I go for the goat roti which is about $9 and is huge, very filling and is enough for dinner on it's own. They also offer a selection of other treats like the Grace drinks in white cream soda (that taste like butter), beef patties and plantain chips. It's take out only. My favourite restaurant of the moment has to be Cyrus Persian Food on Ritson Road. Now this is a place for cheap eats! I get take out dinners with extras and for two it is very easy to buy a load of food for under $20. It's just outside of downtown, but worth the trip for either dine-in or take-out. They even have a patio and you can smoke the hookah if you're interested. Their koobideh is yummy and cheap, as is their shwarma, which is *always* on special it seems. You could easily eat for lunch for closer to $5 and be full, and the food is fast, fresh and healthy. 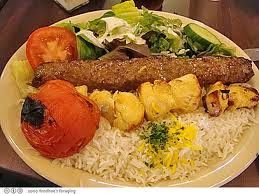 I love the roasted tomatoes that come with the koobideh. The service is also always great and super friendly, the owner often comes to the till to thank you for your order. The decor is actually cozy too and you could definitely eat here comfortably. Mexican Food is becoming pretty common in the Downtown area. At last count there were four options, Mexico Lindo, Santa Fe, Viva Burritos and a new licensed pub/mexican joint going into the old Thirsty Monk. The one I'd recommend for takeout would have to be Viva Burritos, though they have a much smaller menu then the other places. I don't want to say anything negative about the other joints (and surely if I want a margarita I will go to one of them), but Viva Burritos is my favourite for take out. 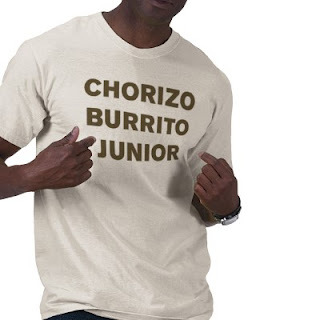 It serves basically just burritos, but they offer a wide selection of meat options including Chorizo, my favourite. I get mine stacked "spicy non-dairy" and it's divine. Chorizo is ground pork cured as a sausage and then cooked slowly in a sun -dried sweet bell pepper sauce which is spicy, but not hot-spicy. It's super yummy. They also have quesedillas and home made guacamole for takeout. They make the guac fresh while you wait, and it's not expensive at all. I believe last time I was in the side of Guac was $3, which honestly shocked me since buying an avacado will run you $1.29 lately. The service is great, it's family owned and operated. Their apple empanadas are also yummy, if you have room for one after your burrito. It is under $8 for the large burrito and I don't think I've actually ever been able to finish the whole thing. As for authenticity, well, I've never been to Mexico but I've been told this is the real deal by a reliable source (except for when I get whole wheat wraps. That is, as I've been informed, very unauthentic, however, I love having the option). One odd dark winter evening, I was craving spaetzle. Have you ever had spaetzle? I think once you've had it cravings just come randomly. Spaetzle isn't only fun to say, it is also this funny little pasta in the gnocci family - well, a distant cousin anyhow. It's a potato pasta that is served alongside things like goulash and schnitzel. I hadn't ever had it until my sister married an Austrian and I was lucky enough to eat his mother's cooking. 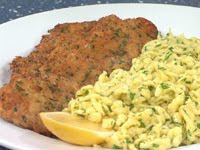 At Euro Chef in Oshawa you can get a weiner schnitzel and spaetzle dinner for a great price and the serving is huge. I've also had their delicious perogies. The restaurant classifies itself as "Hungarian" and had an interesting menu of things to try if you are up for a gut-warmer. For Thai food I've eaten a few times at Golden Thai Cafe. Was it the best Thai food I've ever had? Well, that would be a tough crown to take from the Salad King or Green Mango in Toronto. So, no. I thought their Pad Thai was passable, but what really got me was their great lunch and dinner specials. You can easily sit for lunch with a drink and walk out having only spent $10 and being more than full. Most recently I had their lunch yellow tofu curry special, which started with a spring roll (actually really good and apparently made in-house), a mango salad, and a delicious spicy curry with tofu and veg served on a bed of rice. I had it with iced tea and it was under $9 including tax. Editor's note: There's a new Thai restaurant downtown called the Bamboo House. It has fantastic lunch specials at $6.95 that I'm hooked on. I've also had the dinner take out. I've eaten their Pad Thai, Mango Chicken, Basil Chicken and Yellow Curry. All were delicious, though I'd say the Yellow Curry was a little on the salty side. A very solid Pad Thai though if that's your thing - a coworker claimed it was the best pad thai they'd ever had. Of note, the ambiance is lovely and the service is very fast and friendly! Chinese Food. Does this really count as ethnic food anymore? I don't count it, but there are options downtown. Korean Food. Found a new Korean place on Simcoe south of Bloor. Have eaten there once. It was not Korean BBQ. Seemed very un-Korean in fact. Will try the Kimchi next time. Jury is still out. Editor's note: I've discovered Sushi King on Ritson Road South. Yes, it's called "Sushi King" and has japanese food, but it's owned by Koreans and has a great Korean menu too. And it's SOOOOO good. Ate there last week. Had traditional Korean BBQ with Kimchi as well as Korean Sashimi. Both were great. Scratch it from the list! Anything Upscale - there's a new restaurant going into the RMG, there's Fazio's. But these aren't take out joints. I'm not counting them. Cultural Halls. As I've covered before on this blog the local cultural halls open up, and you can buy home cooked Polish, Italian, etc foods. All are great, but the hours aren't regular. Falafel. I didn't think there was a good pita/falafel joint in downtown Oshawa but writing this post has taught me about Oz Pita. Haven't eaten there yet, so the jury is out. Is this place good? Or does it deserve to stay on the wish list? Korean BBQ House. Again, so yummy and social as well. 24Hr Chow Joint like Mel's Diner in Toronto. Mel's isn't really ethnic unless you consider Montrealers ethnic. They have awesome greasy breakfasts and montreal smoked meat and bagels. Also a good spot for Poutine. Editor's note: Mel's has since closed up shop. Sad face over here. My friend insists downtown needs an ice cream shop. I inform him this isn't exactly what I'm blogging about. He says, "Ok, gelato then." Mmm. Gelato. Dim Sum. I went for Dim Sum for the first time as a you-aren't-working-in-Markham-anymore treat. Sold! So good. Would be nice to have some more authentic Chinese food options. I am so grateful for this post! I just barely moved here and have been trying to find the best restaurants in Oshawa. This was very helpful for me! Thanks for sharing this.